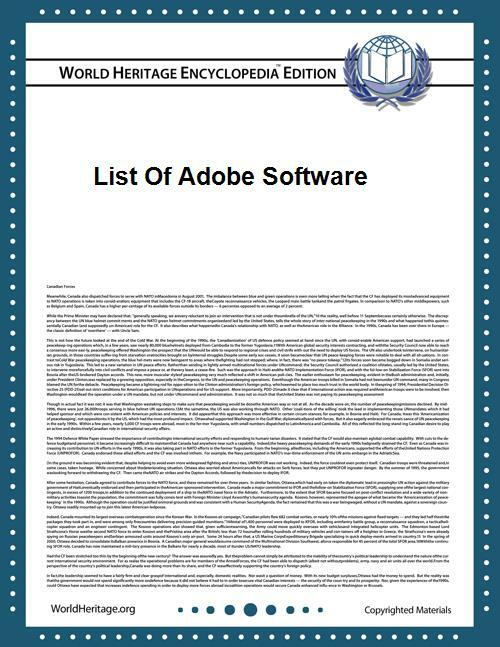 A list of Adobe Systems products. *As of CS6, Dynamic Link functionality no longer requires the purchase of a Suite. Adobe Creative Cloud is the successor to Adobe Creative Suite. It is based on a software as a service model. It includes everything in Adobe Creative Suite 6 with the exclusion of Adobe Fireworks and Adobe Encore, as both of them were discontinued. It also introduced a few new programs, including Adobe Muse. Adobe eLearning Suite is a collection of applications made by Adobe Systems for learning professionals, instructional designers, training managers, content developers, and educators. Macromedia, a company Adobe acquired.